Professor John Forbes receives 2015 Premier's award for Outstanding Cancer research. 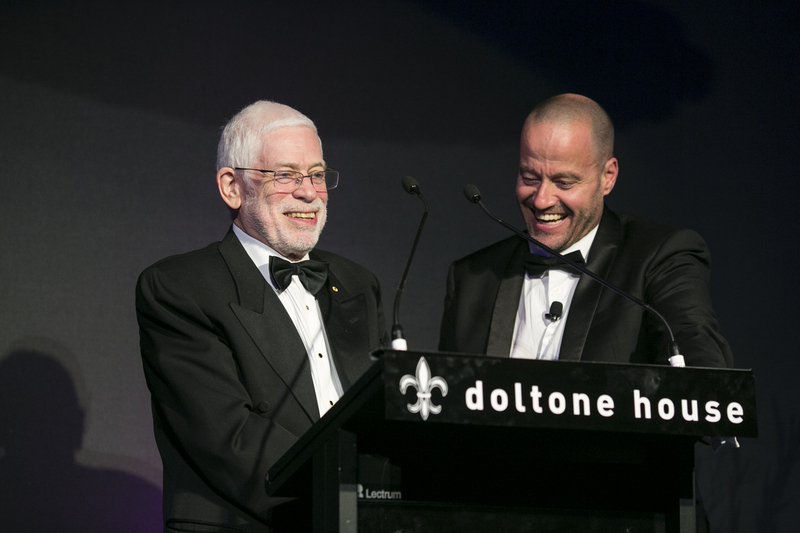 The state's top honour for cancer research has been awarded to University of Newcastle researcher, Professor John Forbes AM, a pioneer in breast cancer research. Professor Forbes, founder of the Newcastle-based Australian and New Zealand Breast Cancer Trials Group (ANZBCTG), received the 2015 Premier's Award for Outstanding Cancer Research. "Breast cancer is the most common cancer among NSW women, with one in eight developing the disease in their lifetime," said Mrs Skinner, who presented the award on behalf of Premier Mike Baird. "Over four decades, Professor Forbes's discoveries - including pioneering the use of anti-oestrogen therapy for early breast cancer - have improved the quality of many lives, in Australia and the world over," said Mrs Skinner. This award follows a string of other achievements, including a Member of the Order of Australia in 2012, recognising Professor Forbes's services to the field of breast cancer research, development of improved clinical practice standards and community service. Among his many career highlights, Professor Forbes chaired the Australian and New Zealand arm of the International Breast Cancer Intervention Study (IBIS I) clinical trial, which established that tamoxifen could be used for more than just successfully treating breast cancer – it could also be used in prevention of the disease. The breakthrough research revealed that tamoxifen could prevent half of new breast cancers and significantly reduce the rates of secondary cancer and the development of tumours in the other breast.